One of the more interesting features of the phenomenon known as "Thatcherism" was the fact that, high on the list of those who never really got the point of what made her such an exceptional political leader, were many of those who sat round her own Cabinet table. One has only to think of Geoffrey Howe, Michael Heseltine. Chris Patten and Kenneth Clarke to see how obvious this is. Although they were happy to ride on her sledge to three election victories, they never had any real sympathy with what she stood for, or any understanding of why "ordinary voters" turned out for her in such numbers. And in the end of course, it was they who turned on her to bring her down. Another minister who rode uncomprehendingly on her coat-tails, although he only entered the Cabinet days before her resignation, was William Waldegrave, who has now become, as Provost of Eton, a quintessential elder of the establishment. In this grand guise he was invited by The Times to write a piece on Wednesday headed "On global warming she’d trust the science". Loftily dismissing whatever she might have said, "if anything, in her long retirement", he asked what she would have thought today about climate change. It would "depend on who she trusted. Would it have been with the sceptics Christopher Booker and Nigel Lawson, or the scientists Robert May and Martin Rees. Who knows?" Waldegrave leaves us in no doubt which side he believes Lady Thatcher would have been on. "I personally think she would have accepted the majority position – the majority of scientists, that is". What Waldegrave is here trying to sweep under the carpet, of course, is the embarrassing fact that, having originally been a hugely influential convert to the theory of man-made global warming, she came in her retirement – in her last book Statecraft, published in 2002 – to a view which could not have been more diametrically opposed to the one she originally held. By this time she had clearly read up on the subject rather more than she had done in those more impressionable days back in 1988. when she fell under the spell of James Hansen, Crispin Tickell and Dr John Houghton. pouring scorn on what she now called "the doomsters", she questioned all the main scientific assumptions which had been used to drive the scare, from the conviction that the main force shaping world climate is CO2 rather than natural factors such as solar activity, to exaggerated claims about rising sea levels. She mocked Al Gore and the futility of what she called all the "costly and economically damaging" schemes to reduce CO2 emissions, She cited the 2.5 degree rise in temperatures during the Mediaeval Warm Period as having had almost entirely beneficial effects. She pointed out that the dangers of a world getting colder are far worse than those of a CO2-enriched world growing warmer. And she recognised how distortions of the science had been used to mask an anti-capitalist, left-wing political agenda which posed a very serious threat to human progress and prosperity. I don't know whether Lord Waldegrave ever read the nine pages of her book, headed "Hot air and global warming", and I very much doubt whether he has ever read anything written by Prof. Lindzen - let alone much else written in recent years by those scores of other eminent scientists and other experts who have questioned every one of the a priori assumptions used to promote the belief in CO2-induced global warming. Much easier, in deference to the fashionable orthodoxy, just to imply that Lady Thatcher's later views were no more than the senile ravings of an old woman in her retirement, and to place against them the ex cathedra pronouncements of his fellow-pillars of the establishment such as Lord May and Lord Rees, each carrying with him all the unimpeachable authority which goes with being a President of the Royal Society. But as those of us who have followed this debate rather more closely than Lord Waldegrave are aware, Lord May and Rees have in recent years presided over the transformation of the Royal Society from an institution respected down the centuries for championing the scepticism inseparable from proper scientific enquiry (symbolised in its motto nullius in verba, "take no one’s word for it") into a quite shameless lobby group for the warmist orthodoxy. Neither Lord May, a specialist in population biology, nor Lord Rees, an astronomer, have ever shown any understanding of the scientific debate over the warming theory - any more than has their successor at the head of the Royal Society, the geneticist Sir Paul Nurse. One after another, these men have shown themselves to be no more than uncomprehending propagandists for the orthodoxy. When they venture outside their own specialism, they are capable of uttering the most amazingly unscientific tosh - while at the same time, as goes with the warmist territory, being quite insultingly intolerant of anyone daring to question that orthodoxy. So there it is. The late Lady Thatcher listened to the view of Dr Lindzen, arguably the world’s leading atmospheric physicist, Lord Waldegrave, without bothering to look at the evidence or think it out for himself, would prefer to believe what he is told by a population biologist and an astronomer, neither of whom have any scientific authority to pronounce on such matters at all. What they do have, as Presidents of the Royal Society. is what Gustave Le Bon identified as "prestige". Nullius in verba indeed. As a onetime classical scholar, Lord Waldegrave should quietly meditate on what Horace actually meant by those words from which the Society derived its motto. Millions of words have been written and spoken in recent days, writes Booker trying to pick out the good, the bad and the ugly in the record of the prime minister who dwarfed all others in modern times. 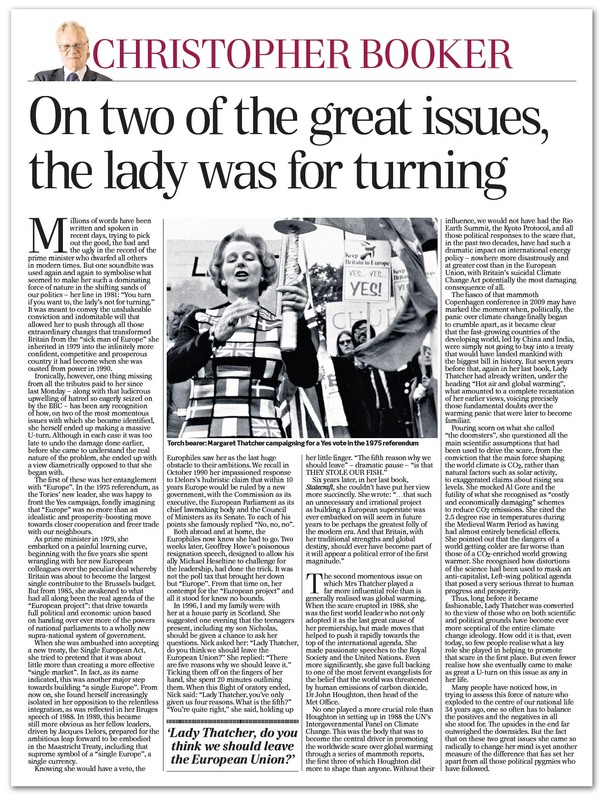 But one soundbite was used again and again to symbolise what seemed to make her such a dominating force of nature in the shifting sands of our politics – her line in 1981: "You turn if you want to, the lady's not for turning". It was meant to convey the unshakeable conviction and indomitable will that allowed her to push through all those extraordinary changes that transformed Britain from the "sick man of Europe" she inherited in 1979 into the infinitely more confident, competitive and prosperous country it had become when she was ousted from power in 1990. Ironically, however, one thing missing from all the tributes paid to her since last Monday – along with that ludicrous upwelling of hatred so eagerly seized on by the BBC – has been any recognition of how, on two of the most momentous issues with which she became identified, she herself ended up making a massive U-turn. Although in each case it was too late to undo the damage done earlier, before she came to understand the real nature of the problem, she ended up with a view diametrically opposed to that she began with. The first of these was her entanglement with "Europe". In the 1975 referendum, as the Tories' new leader, she was happy to front the Yes campaign, fondly imagining that "Europe" was no more than an idealistic and prosperity-boosting move towards closer cooperation and freer trade with our neighbours. As prime minister in 1979, she embarked on a painful learning curve, beginning with the five years she spent wrangling with her new European colleagues over the peculiar deal whereby Britain was about to become the largest single contributor to the Brussels budget. But from 1985, she awakened to what had all along been the real agenda of the "European project": that drive towards full political and economic union based on handing over ever more of the powers of national parliaments to a wholly new supranational system of government. When she was ambushed into accepting a new treaty, the Single European Act, she tried to pretend that it was about little more than creating a more effective "single market". In fact, as its name indicated, this was another major step towards building "a single Europe". From now on, she found herself increasingly isolated in her opposition to the relentless integration, as was reflected in her Bruges speech of 1988. In 1989, this became still more obvious as her fellow leaders, driven by Jacques Delors, prepared for the ambitious leap forward to be embodied in the Maastricht Treaty, including that supreme symbol of a "single Europe", a single currency. Knowing she would have a veto, the Europhiles saw her as the last huge obstacle to their ambitions. We recall in October 1990 her impassioned response to Delors's hubristic claim that within ten years Europe would be ruled by a new government, with the Commission as its executive, the European Parliament as its chief lawmaking body and the Council of Ministers as its Senate. To each of his points she famously replied "No, no, no". Both abroad and at home, the Europhiles now knew she had to go. Two weeks later, Geoffrey Howe's poisonous resignation speech, designed to allow his ally Michael Heseltine to challenge for the leadership, had done the trick. It was not the poll tax that brought her down but "Europe". From that time on, her contempt for the "European project" and all it stood for knew no bounds. In 1996, I and my family were with her at a house party in Scotland. She suggested one evening that the teenagers present, including my son Nicholas, should be given a chance to ask her questions. Nick asked her: "Lady Thatcher, do you think we should leave the European Union?" She replied: "There are five reasons why we should leave it". Ticking them off on the fingers of her hand, she spent 20 minutes outlining them. When this flight of oratory ended, Nick said: "Lady Thatcher, you've only given us four reasons. What is the fifth?" "You're quite right", she said, holding up her little finger. "The fifth reason why we should leave" – dramatic pause – "is that THEY STOLE OUR FISH". Six years later, in her last book, Statecraft, she couldn't have put her view more succinctly. She wrote: "…that such an unnecessary and irrational project as building a European superstate was ever embarked on will seem in future years to be perhaps the greatest folly of the modern era. And that Britain, with her traditional strengths and global destiny, should ever have become part of it will appear a political error of the first magnitude". The second momentous issue on which Mrs Thatcher played a far more influential role than is generally realised was global warming. When the scare erupted in 1988, she was the first world leader who not only adopted it as the last great cause of her premiership, but made moves that helped to push it rapidly towards the top of the international agenda. She made passionate speeches to the Royal Society and the United Nations. Even more significantly, she gave full backing to one of the most fervent evangelists for the belief that the world was threatened by human emissions of carbon dioxide, Dr John Houghton, then head of the Met Office. No one played a more crucial role than Houghton in setting up in 1988 the UN's Intergovernmental Panel on Climate Change. This was the body that was to become the central driver in promoting the worldwide scare over global warming through a series of mammoth reports, the first three of which Houghton did more to shape than anyone. Without their influence, we would not have had the Rio Earth Summit, the Kyoto Protocol, and all those political responses to the scare that, in the past two decades, have had such a dramatic impact on international energy policy – nowhere more disastrously and at greater cost than in the European Union, with Britain's suicidal Climate Change Act potentially the most damaging consequence of all. The fiasco of that mammoth Copenhagen conference in 2009 may have marked the moment when, politically, the panic over climate change finally began to crumble apart, as it became clear that the fast-growing countries of the developing world, led by China and India, were simply not going to buy into a treaty that would have landed mankind with the biggest bill in history. But seven years before that, again in her last book, Lady Thatcher had already written, under the heading "Hot air and global warming", what amounted to a complete recantation of her earlier views, voicing precisely those fundamental doubts over the warming panic that were later to become familiar. Pouring scorn on what she called "the doomsters", she questioned all the main scientific assumptions that had been used to drive the scare, from the conviction that the main force shaping the world climate is CO2, rather than natural factors such as solar activity, to exaggerated claims about rising sea levels. She mocked Al Gore and the futility of what she recognised as "costly and economically damaging" schemes to reduce CO2 emissions. She cited the 2.5 degree rise in temperatures during the Medieval Warm Period as having had almost entirely beneficial effects. She pointed out that the dangers of a world getting colder are far worse than those of a CO2-enriched world growing warmer. She recognised how distortions of the science had been used to mask an anti-capitalist, Left-wing political agenda that posed a very serious threat to human progress and prosperity. 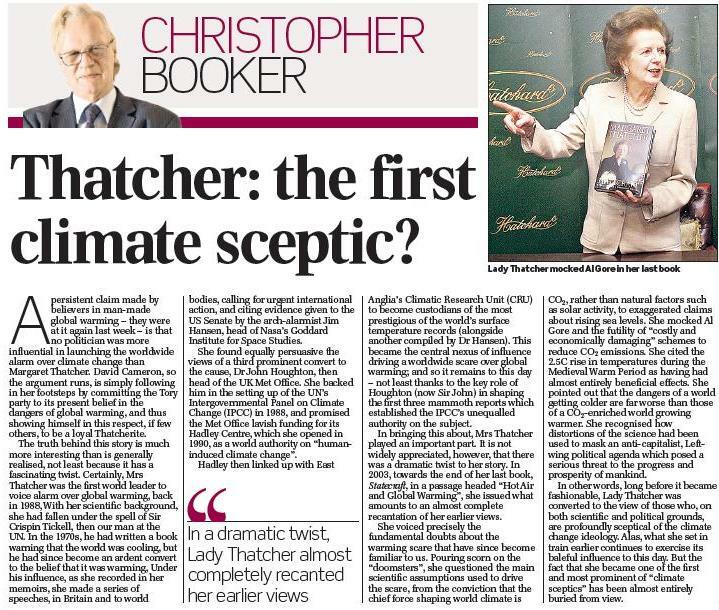 Thus, long before it became fashionable, Lady Thatcher was converted to the view of those who on both scientific and political grounds have become ever more sceptical of the entire climate change ideology. How odd it is that, even today, so few people realise what a key role she played in helping to promote that scare in the first place. But even fewer realise how she eventually came to make as great a U-turn on this issue as any in her life. Many people have noticed how, in trying to assess this force of nature who exploded to the centre of our national life 34 years ago, one so often has to balance the positives and the negatives in all she stood for. The upsides in the end far outweighed the downsides. But the fact that on these two great issues she came so radically to change her mind is yet another measure of the difference that has set her apart from all those political pygmies who have followed. Any mention of polar bear populations not declining is bound to get the warmists riled, so today Booker is playing to the gallery, writing about … polar bear populations not declining. Add a tilt at St David the Attenborough, the BBC, Greenpeace, Friends of the Earth, WWF and Al Gore, light blue touch paper and retire to a safe distance. Then watch the fun on the comments threat, as the warmists come storming out of their burrows, spitting and snarling with fury. Pity the poor dears that their holy icon, the polar bear, is alive and well in the Arctic, the population currently greater in extent than at any time in 30 years. But such a vital part of the anthropogenic warming myths is the symbolism of polar bears under threat that the warmists can't afford to ignore the challenge. So we develop a new sport to cheer up the dull Sundays at the fag-end or a long, cold winter … warmist-baiting. There should be an award for it. Booker would win it every year. Nicely stitched together by Booker this week are disparate themes all bound together by a common phenomenon – the belief system. And, in an optimistic mood, he tells us that they are all beginning to come unstuck. Booker starts with the glorious headlines in April that greeted a stark warning from the Environment Agency. Fuelled by the predictions of the climate-change-obsessed Met Office (and the official policy, since 2007, of the similarly fixated EU) that we will have "hotter, drier summers" for decades to come, the agency foretold that the drought conditions of the early spring were likely to last "until Christmas and perhaps beyond". Someone up there is seriously enjoying herself, as this prophecy was swiftly followed by the wettest late spring, the wettest summer, the wettest autumn and the wettest Christmas we have ever known – eight months of near-continuous rain and floods amounting to England's wettest year since records began (which actually wasn't that long ago). Another of those belief systems taking a dive is the EU, just short of the 40th anniversary of the day in 1973 when Britain finally junked "1,000 years of history" – in the famous words of Labour leader Hugh Gaitskell – and threw in her lot with the attempt to create an all-powerful super-government over the nations of Europe. It is 20 years since Booker started reporting on the damage that our membership of the European Union (as it was then about to become, under the Maastricht Treaty) was starting to inflict on our national life. In the early days, to question our membership was to be dismissed by all right-thinking people as a crank, a nutter, a xenophobe who could not be taken seriously. 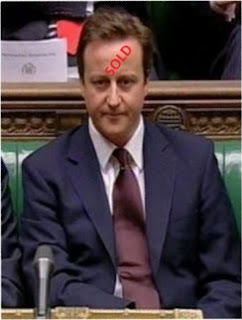 And when, at the start of 1992, he first began reporting horror stories about the tidal wave of new regulations hitting so many British businesses with the approach of the Single Market, along with the destruction of our fishing industry and much of our agriculture, we were still locked into that forerunner of the single currency, the ERM (almost unanimously supported, it is salutary to recall, by every political party and right across the media). When we were forced out of the ERM on Black Wednesday, 16 September 1992, it ushered in a period of dramatic economic growth which, six years later, would allow Gordon Brown to announce his hubristic decision to double public spending in 10 years. We are paying the price for that now: this year the Government has had to borrow up to £18 billion a month to cover its ever-widening deficit. Forty years on from our entry into "Europe", as we see "the project" plunge deeper into the misery and chaos it has brought on itself by its even more hubristic desire to give the EU its own currency, British attitudes to our membership have changed beyond recognition. In their desperate efforts to save the euro, we see the EU's inner core driving on towards yet another treaty and "full political union", in a way that will condemn the UK to remain helplessly on the margin, with less influence over Europe's destiny than ever. On all sides we hear plaintive cries that we must negotiate a “looser relationship” with the form of government to which we subordinated ourselves 40 years ago, as if we could defy its most basic rule: that powers once handed over to the centre in Brussels can never be given back. Poll after poll shows that the majority of the British people would now like to see us get out altogether. One way or another – although few seem yet to have any realistic idea of how this could be achieved – we seem to be approaching a turning point in our relations with "Europe", one as fateful as that step Edward Heath led us into so blindly back in 1973. Just as significant this year have been the signs of glimmerings of reality breaking in on the delusions that go with the long-dominant conviction that the world is in the grip of a changing climate that we somehow have the power to reverse, if only we are prepared to subordinate every aspect of national policy to doing so and to change almost every aspect of our lives. It is 10 years since Booker first began reporting on just one of the countless threads in that story – the belief that we could somehow derive most of the electricity on which our computer-dependent economy now relies from "renewable" sources: for instance, by covering vast tracts of our countryside and sea with giant wind turbines. Again, back in 2002, to point out that wind energy was an incredibly damaging illusion was to be dismissed as a crank, a Nimby, a Luddite. But ten years later, the penny is finally dropping that, in practical terms, this is an incredibly foolish and costly mistake. 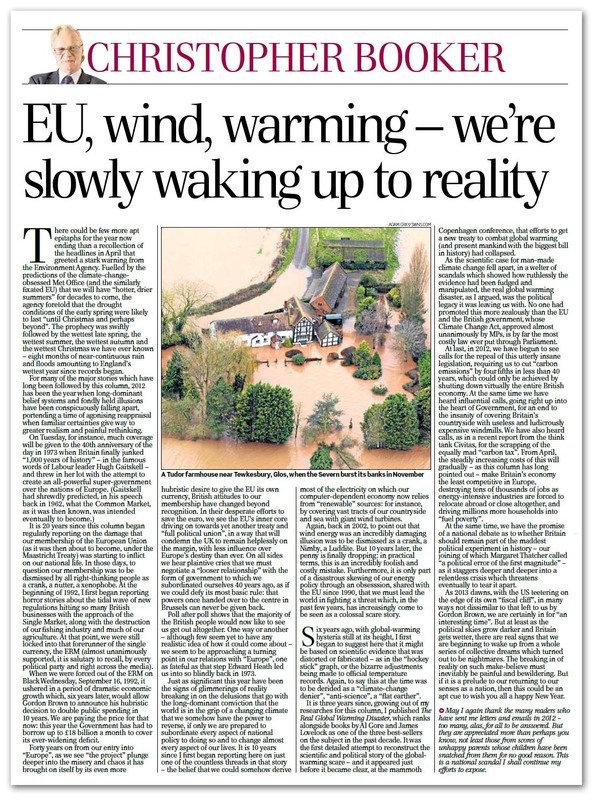 Furthermore, it is only part of a disastrous skewing of our energy policy through an obsession, shared with the EU since 1990, that we must lead the world in fighting a threat which, in the past few years, has increasingly come to be seen as a colossal scare story. Six years ago, with global-warming hysteria still at its height, he first began to suggest that it might be based on scientific evidence that was distorted or fabricated – as in the "hockey stick" graph, or the bizarre adjustments being made to official temperature records. Again, to say this at the time was to be derided as a "climate-change denier", "anti-science", a "flat earther". It is three years since, growing out of researches for his column, he published a book called The Real Global Warming Disaster. 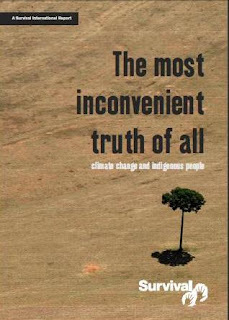 It ranks alongside books by Al Gore and James Lovelock as one of the three best-sellers on the subject in the past decade, because it was the first detailed attempt to reconstruct the scientific and political story of the global-warming scare – just before it became clear, at the mammoth Copenhagen conference, that efforts to get a new treaty to combat global warming (and present mankind with the biggest bill in history) had collapsed. 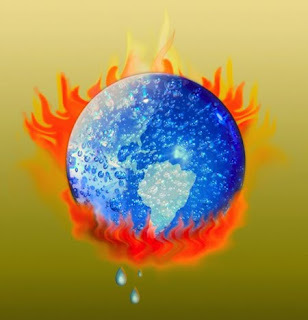 As the scientific case for man-made climate change fell apart, in a welter of scandals which showed how ruthlessly the evidence had been fudged and manipulated, the real global warming disaster, as Booker argued, was the political legacy it was leaving us with. No one had promoted this more zealously than the EU and the British government, whose Climate Change Act, approved almost unanimously by MPs, is by far the most costly law ever put through Parliament. At last, in 2012, we have begun to see calls for the repeal of this utterly insane legislation, requiring us to cut "carbon emissions" by four fifths in less than 40 years, which could only be achieved by shutting down virtually the entire British economy. At the same time we have heard influential calls, going right up into the heart of Government, for an end to the insanity of covering Britain's countryside with useless and ludicrously expensive windmills. We have also heard calls for the scrapping of the equally mad "carbon tax". From April, the steadily increasing costs of this will gradually – as this column has long pointed out – make Britain's economy the least competitive in Europe, destroying tens of thousands of jobs as energy-intensive industries are forced to relocate abroad or close altogether, and driving millions more households into "fuel poverty". At the same time, we have the promise of a national debate as to whether Britain should remain part of the maddest political experiment in history as it staggers deeper and deeper into a relentless crisis which threatens eventually to tear it apart, and our joining of which Margaret Thatcher described in her retirement as "a political error of the first magnitude". As 2013 dawns, with the US teetering on the edge of its own "fiscal cliff", in many ways not dissimilar to that left to us by Gordon Brown, we are certainly in for "an interesting time". But at least as the political skies grow darker and Britain gets wetter, there are real signs that we are beginning to wake up from a whole series of collective dreams which turned out to be nightmares. The breaking in of reality on such make-believe must inevitably be painful and bewildering, but Booker uses it as a cue to wish his readers a happy New Year. In truth, the happiness will not fully return until we are finally rid of these belief systems, and there have been many false dawns. However, the façades are cracking and, for that, we can at least be reasonably cheerful. It is inevitable, I suppose, that when the Reuters Institute for the Study of Journalism wanted someone to give the Reuters Institute/BBC David Butler lecture, focusing on the decay of democracy, they would go to someone in the political bubble. That person was Peter Kellner, husband of EU "foreign minister" Baroness Catherine Ashton - and this is their choice of speaker to tell us about democracy? But then, the Reuters Institute boasts for its advisory board Lord Patten, former EU commissioner, as its chair, and such notables as Alan Rusbridger, Editor in Chief of The Guardian and Mark Thompson, Director-General, BBC. 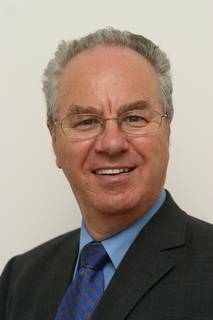 Its director is David Levy, the controller of public policy at the BBC until 2007. Howsoever, it came to pass that yesterday, the egregious Mr Kellner delivered his lecture, the full text of which is on the Reuters Institute site, entitled "The Second Superpower". The title came from New York Times writer, Patrick Tyler who in February 2003, one month before the Iraq war, wrote that the huge anti-war demonstrations around the world this weekend were reminders that there may still be two superpowers on the planet: "the United States and world public opinion". To an extent, the title is a red-herring, because Kellner goes on to say that world public opinion failed to stop the Iraqi war and that, while the eventual impact of people power will be immense, "right now it is still groping for institutional forms that can give it teeth". Bizarrely though, Kellner did not seek to empower the people – the objective of a functioning democracy. Instead, he came to warn that representative democracy was in trouble, not just in Greece and Italy, or Russia and the United States, but "here in the United Kingdom". He argues that "our very system of democracy is more fragile than we like to think". In fact, we do not have democracy, as such, but a system which now relies only partially on "representative democracy". But representative democracy isn't democracy at all, but the next best thing, devised for the times when it took days for a stagecoach to get to Edinburgh, there was no telephone and the internet had yet to be invented by Al Gore. Then, says Kellner, representative democracy enjoyed a technical monopoly but now, under the assault of modern technology, mendacious journalism and angry voters, we are "drifting towards a political system" which "will undermine representative democracy". And this is, horror of horrors, direct democracy - with decisions made by the people using referendums. Thus, very early in his lecture Kellner nails his flag to the mast. He is not there to defend democracy at all, but to protect the status quo - representative democracy, the thing that isn't democracy at all - mounting a defence against that peril of all perils, the referendum . To perform his task, he decides to frame the "core issue" in terms of legitimacy – whether people accept the principles of representative democracy. He then calls in aid his own polling organisation to inform us that nearly two-thirds of voters (62 percent) believe politicians lie "all the time" and less than a quarter (24 percent) think parliament does a good job debating issues of concern to them. 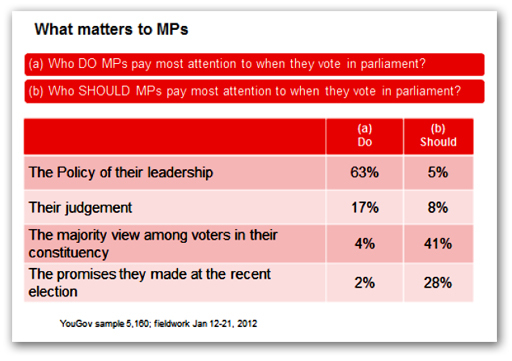 The biggest handicap though is that voters see MPs as servants of the party leadership, backed by a poll which also showed what people thought MPs should be giving most weight to their views. It is because of this, Kellner argues, we see a growing clamour for direct democracy and the use of referendums. And, if a variety of issues were put to the vote, "Referendum Britain" would be a country outside the European Union, with no net immigration, a £1 million maximum pay limit and parents armed with the names and addresses of local paedophiles. This, clearly, is not acceptable to Mr Kellner – or his backers (and, doubtless, abhorrent to his wife), so the man launches into an attack on the very idea of referendums. And, shorn of its rhetoric, this is what Kellner's lecture is really all about. To be fair to the man, in identifying the problems with referendums, he makes some good points - not least that politicians, in deciding when, where and on what terms referendums are held, can use them as a tactical device to achieve their own ends. And with such arguments, he argues against direct democracy in general and their concomitant referendums as the basis for improving democracy. Instead, Kellner, the pollster, wants better ways of measuring public opinion, and then urges MPs to engage more fully with it. Interestingly, though, he is very far from being the first to make such points. More than seventy years ago, in the pages of Reynolds News, Prof A Berriedale Keith was writing in very much the same terms. Then as now, though, the problem is not so much the measurement of public opinion as getting MPs to take notice of it, and "not humbly to obey the bidding of the whips". To that problem, Mr Kellner has no answers. Even though he does come up with ideas for improving the measurement of public opinion, he no more than Berriedale Keith, have any ideas as to how MPs can be forced to take note of public opinion. He ends up, therefore, with the incredibly lame suggestion that the public should have confidence in the process by which governments and parliament reach their decisions. The goal, he suggests, should be neither to surrender to the "second superpower" nor to ignore it, but to show that it is being listened to, seriously and with at least a semi-open mind, so that when MPs vote differently from the way their constituents want, they deserve respect for the way they make up their minds. Referendums, he says, can then be kept for those, hopefully rare, occasions when Parliament gets it totally wrong. Such is a partial summary, which barely does justice to as lecture that runs to thirteen pages. But what is especially interesting is that Kellner says that, because they misuse them, politicians should be banned from calling referendums. Instead, the public should be given the power to wield a "people's veto" on any Act of Parliament or local council decision by gathering the signatures of ten percent of the electorate on a petition. But, in coming out with ideas that were, in fact, being rehearsed more than seventy years ago, he does not acknowledge current ideas, particularly the discussions on the blogosphere where there is a healthy debate going on. And, of course, he does not in any way acknowledge the concept of referism, which offers the ultimate "people's veto" in allowing the people to block the budget. The likes of Kellner are far to grand to sully their precious minds with other people's ideas. Thus, whatever else we have here, this is not a democrat speaking. This is a man who wants to keep people away from power, and to reinforce the status quo. It is rather appropriate that the Girliegraph should choose as its blog editor Damian Thompson - a journalist (or so he claims) who specialises in religion. Thus his journalistic enterprise is more a matter of faith than substance, and partly explains why he should resort to branding naysayers as conspiracy theorists. Inevitably, though, the faith-laden Thompson is not alone. Even (or especially) The Guardian lays into the naysayers as well, declaring that the decision not to release photographs of Bin Laden's corpse "has prompted an avalanche of conspiracy theories". But, from the "liberal" left to the "rabid" right of the Wall Street Journal we get the same attack on the conspiracy theorists. And even Littlejohn joins in the clever-dickery. This commonality of approach, across the ideological divide, stems from the more pressing need to protect, above all else, the prevailing narrative. It does not matter that the media babies are so gullible that they will believe anything they are told. What matters is that they should all believe the same thing, and that dissenters should be marginalised. And while Littlejohn stands slightly apart, he is only performing the role of the jester - the licensed "fool". Interestingly, it is one on the faith-laden Thompson's commenters who notes that the term "conspiracy theorist" belongs alongside "climate change denier", "anti-semite", "racist", "homophobe", "sexist" and array of other soundbites of meaningless noise. And right on cue, we have al Gore pop up, declaiming climate change sceptics as birthers. It is also so very predictable. The problem is, of course, the there are plenty of loons and kooks around, so branding anyone who dissents with one or more of these labels is a highly effective technique. But even then, for the protectors of the narrative, this is not enough. They also rely on other techniques. 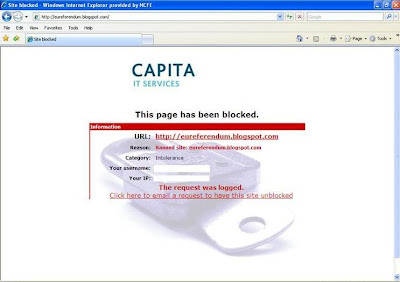 Bearing in mind that the alternative media is the greatest challenge to the orthodoxy, we see increasingly the use of internet website blocking (see top), which means that different views such as ours find it harder than most to attract an audience. And from the grand scale, to the petty, the clever and sophisticated Tim Montgomerie rigorously excludes us from his blogroll even though, as a Conservative site, he links to Labour List and hard left sites. The difference is, of course, is that all these sites, across the political divide, uphold the narrative. Thus, with some amusement, we see Cranmer exulting in his 11th position in the Wikio list of top political blogs, whereas we, with more than double the hit rate, do not even appear on the list. But then Wikio, the aggregator, will publicise this, and this but not this. So, is this all another conspiracy? The answer is: not necessarily. You can start with the premise that all governments are conspiracies against their peoples. But moving from there, you can also argue that the governmental system in any country at any one time represents the status quo. The majority of the people, and especially the "establishment", quite naturally supports that. The support is automatic and unthinking. Thus, naturally and necessarily, anyone who seriously challenges the status quo will get the treatment. It is as natural as rain and as predictable as the cycle of night and day. Yet, despite all that, slowly but inexorably, EU Referendum traffic increases. "At a gut level most left-wing environmentalists know that they're liars. Intellectually they might have somehow convinced themselves that Mother Earth is in some sort of man-made peril, but deep down inside where the truth won't be denied, these liars know they’re lying — know that the 'green movement' is all about a sinister political agenda to put them in the position of insect overlords in charge of we rubes who stubbornly refuse to let go of the idea that Marxism is a bad thing. But Gore and Co. are consciously and purposefully using the most powerful propaganda device ever created to spread self-serving lies in the hopes of scaring us into voting for the kind of government that will give the elite more control over our lives." My kind of writer here. The pic: all the "above the line" beautiful people ... lying through their damn teeth. And God help us, the stupid greenie proles believe them and lap it all up. Sadly, there is no cure for stupidity. Booker was away in France for most of last week, giving him little time to prepare a column, which left him to come up with a "this is one I prepared earlier" story about "the first climate sceptic", Margaret Thatcher. The story, nevertheless, is very much one that needed to be done. As with the euroslime who constantly want to "own" Winston Churchill, and have him supporting a united Europe (he did, but he didn't want Britain to be part of it), the warmists are keen to claim Thatch as one of theirs, the politician who launched the worldwide alarm over climate change. This then allows them to claim that The Boy is simply following in her footsteps by committing the Tory party to its present belief in the dangers of global warming, and thus showing himself in this respect, if few others, to be a loyal Thatcherite. Booker though has bottomed out the truth, which is much more interesting than is generally realised. Thatch certainly was the first world leader to voice alarm over global warming, back in 1988. With her scientific background, she had fallen under the spell of Sir Crispin Tickell, then our man at the UN. 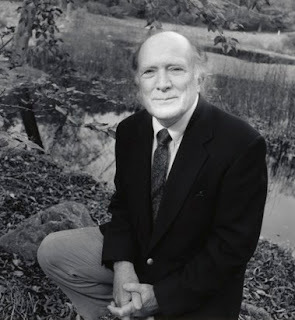 In the 1970s, he had written a book warning that the world was cooling, but he had since become an ardent convert to the belief that it was warming. Under his influence, as she recorded in her memoirs, she made a series of speeches, in Britain and to world bodies, calling for urgent international action, and citing evidence given to the US Senate by the arch-alarmist Jim Hansen, head of Nasa's Goddard Institute for Space Studies. She voiced precisely the fundamental doubts about the warming scare that have since become familiar to us. Pouring scorn on the "doomsters", she questioned the main scientific assumptions used to drive the scare, from the conviction that the chief force shaping world climate is CO2, rather than natural factors such as solar activity, to exaggerated claims about rising sea levels. She mocked Al Gore and the futility of "costly and economically damaging" schemes to reduce CO2 emissions. She cited the 2.5C rise in temperatures during the Medieval Warm Period as having had almost entirely beneficial effects. She pointed out that the dangers of a world getting colder are far worse than those of a CO2-enriched world growing warmer. Thatch also recognised how distortions of the science had been used to mask an anti-capitalist, Left-wing political agenda which posed a serious threat to the progress and prosperity of mankind. The Amazon - a "green gold-rush"
The WWF and other green campaign groups talking up the destruction of the Amazon rainforests are among those who stand to make billions of dollars from the scare. 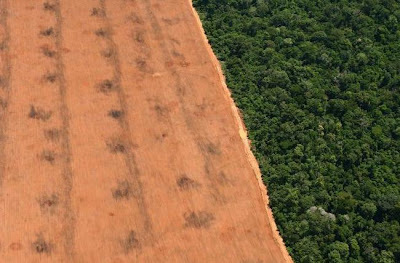 This "green gold-rush" involves taking control of huge tracts of rainforest supposedly to stop them being chopped down, and selling carbon credits gained from carbon dioxide emissions they claim will be "saved". Backed by a $30 million grant from the World Bank, the WWF has already partnered in a pilot scheme to manage 20 million acres in Brazil. If their plans get the go-ahead in Mexico at the end of the year, the forests will be worth over $60 billion in "carbon credits", paid for by consumers in "rich" countries through their electricity bills and in increased prices for goods and services. The prospect of a billion-dollar windfall explains the sharp reaction to the "Amazongate" scandal, in which the IPCC falsely claimed that up to 40 percent of the rainforest could be at risk from even a slight drop in rainfall. Here, the IPCC was caught out again making unsubstantiated claims based on a WWF report. But unlike the "Glaciergate" affair where its claim that Himalayan glaciers would melt by 2035 was conceded to be an "error", the IPCC stood firm on its Amazon claim, stating that the assertion was "correct". What makes the difference is that there is no serious money locked into melting glaciers. Amazonian trees, however, are potentially worth billions. In standing its ground, the IPCC was strongly supported by the WWF, and by Daniel Nepstad, a senior scientist from the US Woods Hole Research Centre. 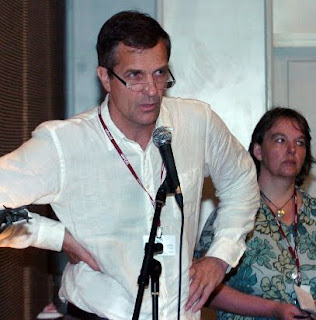 Relying on an assiduously fostered reputation as a leading expert on the effects of climate change in the Amazon rainforests, Nepstad – who works closely with the WWF - posted on the Centre's website a personal statement endorsing "the correctness of the IPCC's statement". Bizarrely, his own research failed in any way to substantiate the claim. And at the centre of the advocacy for the development of "financial instruments" which it is hoped will generate billions in income is Nepstad himself (pictured below). In 2007, Nepstad, who is the highest-paid Woods Hole staff member (although not the most senior) with a salary package of over $175,000, published a paper asserting that if the droughts of the last decade continued into the future, approximately 55 percent of the forests of the Amazon would be "cleared, logged, damaged by drought or burned over the next 20 years." 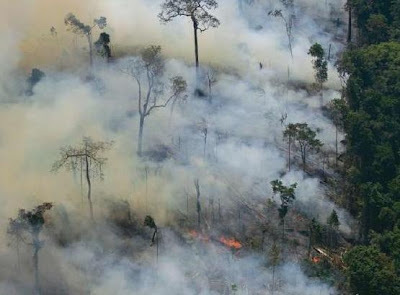 Emerging carbon market incentives, he claimed, could help prevent deforestation. The Woods Hole interest had earlier been declared in March 2006 when Richard Houghton, a senior scientist and deputy director of the centre sent a memorandum to the secretariat of the UN Framework Convention on Climate Change (UNFCC) on developing a scheme called "Reducing emissions from deforestation in developing countries" (REDD). "Carbon credits represent the largest potential flow of revenue in support of sustainable development in tropical forest regions," he then stated. REDD had, in fact, been a long time coming. The basis of a system had been set up by the 1997 Kyoto climate treaty, known as the Clean Development Mechanism (CDM), administered by the United Nations Framework Convention on Climate Change (UNFCCC). Through this, third world countries which reduced CO2 emissions could turn their savings into "carbon credits" which could be sold to industries in developed countries. Crucially, the CDM only applied to energy production and some industrial processes, and did not extend to forests. After intensive lobbying, though – and despite considerable European scepticism - in 2001, the parties to the Kyoto Protocol officially approved the use of plantations for generating carbon credits. The EU, however, decided not to allow these credits to be swapped in its emissions trading system, drastically reducing their potential value. The concept was further weakened by the considerable difficulty in proving how much carbon biomass projects actually saved over their brief and uncertain lifetimes. Estimates varied ten-fold, which damaged the credibility of the emerging voluntary market in carbon "offsets", which were being used to test the concept of forest-generated carbon credits. Their mechanism to bring forests fully into the CDM was REDD, which first appeared as an agenda item in December 2005, at the 11th session of the Conference of Parties to the Climate Change Convention (COP 11) in Montréal. Two years later, at COP 13 in Bali, it had become "the big new idea to save the planet from runaway climate change." The scheme was to comprise two parts. First, there is a set-up fund to create "reserves" or "protected areas" (PAs), where deforestation would be prevented (This fund has already been set up and is currently worth $4.5 billion, made up from donations from Norway, France and four other countries). Secondly, the CDM kicks in. Each ton of carbon dioxide "saved" in the protected areas becomes a carbon credit, sold to industrialists in the developed world to allow them to continue emitting CO2. By this means, the funds come rolling in. Long before REDD had become a formal proposal, WWF had been heavily engaged in Brazil, campaigning to save the rainforests. But a major turning point was reached when, in 1998, Brazilian President Cardoso endorsed a WWF "Forests for Life" programme goal of protecting at least 10 percent of all of the country's forest types as a national priority. At that time, there was a loose-knit under-funded network of national parks, poorly administered by federal and state governments. Driven by WWF, the idea was to establish a massive extension to the system, not under the direct control of the Brazilian authorities but of the NGOs themselves. 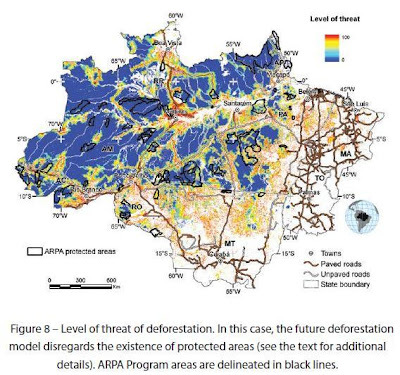 This "take over" was to become the Amazon Region Protected Areas Project (ARPA). To finance its plan, the WWF then obtained $18 million seed funding from the San Francisco-based Gordon and Betty Moore Foundation. This was topped up with $15 million from the German government, paid through the state-owned KfW Entwicklungsbank. 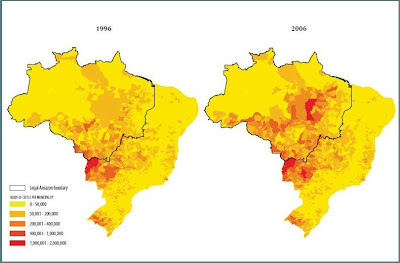 Then its Brazilian partner, FUNBIO (The Brazilian Biodiversity Fund) - an NGO which had been started in 1996 with a $20 million grant from the Global Environment Facility – contributed $18 million, donated by the Brazilian government. The funding was sufficient to set up 20 million acres of new protected areas (10 million of "strict protection" PAs and 10 million of sustainable use). ARPA had become a reality. Announced in August 2002, it included what was to become the world's largest reserve, the Tumucumaque Mountains National Park - consisting of 9,500,000 acres of pristine rainforest. The very remoteness of this region underlines a central point. There was virtually no risk of deforestation or commercial exploitation. Although there had been some mining in the area, even the WWF was forced to concede that the damage was "smaller than predicted." 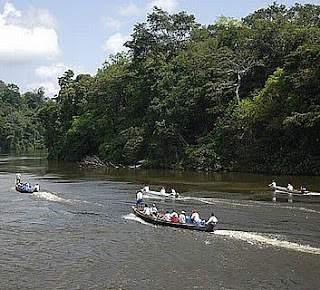 Then, as the WWF itself admits, the bulk of the deforestation is taking place in south and southeast, with some coastal areas and a band in the centre along the main river, where water transport is possible. 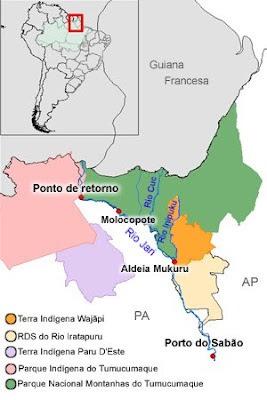 As to the Tumucumaque park, the WWF assessed the risk of deforestation as "nil"- in common with most of the other ARPA strict protection areas (see maps below - click to enlarge). By combining forces and "working with partners in government, civil society, and the business sector," said the WWF, "Alliance partners leverage support and results to reverse the process of forest loss and degradation." The World Bank, for its part, was to provide a $250 million start-up fund which it called the "avoided deforestation" project. Apart from the Amazon, a prime target was one million hectares of classified "conservation forest" in West Papua, New Guinea, where tribes were complaining of evictions from their traditional lands. The WWF was already negotiating with the Indonesian government to set up a management scheme. 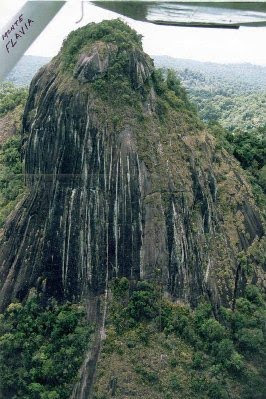 Funded heavily by the Moore foundation, to the tune of over $7 million, and working in partnership with the WWF on the Tumucumaque project, in May 2008 Woods Hole Research Centre, alongside the Federal University of Minas Gerais in Brazil, came up with the "Holy Grail", a methodology for calculating the carbon "savings" from managing rainforests. With this, they estimated that areas protected by the ARPA programme would save 5.1 gigatons of CO2 emissions by 2050. Based on the UNFCCC valuation for a ton of CO2 at $12.50, that equated to over $60 billion-worth of carbon credits. This "finding" was presented that month to the UN Convention on Biological Diversity, meeting in Bonn and the work was also adopted by the World Bank. With this essential piece in place, the WWF then started an intensive lobbying campaign. Working with the International Institute for Environment and Development (IIED), it produced a report to argue that: "The new generation of carbon funds must address the need for a sustained reduction in carbon emissions ... ". Crucially, it complained that forest projects were "not yet recognised under the Clean Development Mechanism" The agenda was clear. WWF and its allies wanted a new treaty, to be agreed by the then forthcoming Copenhagen climate summit, to include forests in the CDM. To that effect, WWF released a detailed policy checklist for delegates, setting out "legal and regulatory requirements to stimulate REDD activities". Its proposal for carbon credits, tied in with a US "cap and trade" system, could provide revenues of up to $4-$5 billion per year for REDD activities. Ramping up the publicity, it then argued that: "Aggressive action to reduce (and ultimately halt) emissions from deforestation and forest degradation (REDD) must be part of any serious policy to address the climate crisis...". Without REDD, WWF averred, "keeping global average surface temperature increase below 2°C will likely be impossible." To support the case, it mobilised its allies, pulling together a raft of Brazilian NGOs with Greenpeace, Conservation International, and Friends of the Earth to launch "the National Pact to Acknowledge the Value of the Forest and to End Amazon Deforestation." It also set up the WWF Forest Carbon Network Initiative again arguing that carbon finance would play a critical role in reducing global greenhouse gas emissions. As such, it declared, the development of carbon finance mechanisms had "emerged" as a major part of WWF's conservation finance portfolio. Simultaneously, it launched an Amazon Fund, inviting sponsorship contributions of $50 to preserve one acre of Amazonian rainforest for 20 years, using the opportunity to argue for placing a price on carbon through a cap-and-trade programme. By this means, it said, "keeping forests intact becomes economically valuable. Climate policy can then help realize this value for countries and communities that choose to protect forests." Halving global emissions from deforestation could produce $3.7 trillion in net benefits to the global economy, it claimed. Then, to lock in its preferred option, WWF launched a spirited campaign against biofuels, funding a study which argued that preventing deforestation was better for "biodiversity and climate" than clearing virgin forest and planting energy crops such as oil-palm plantations. In the run-up to the Copenhagen summit, it was now Nepstad's turn to increase the pressure. As lead author of an article in the prestigious Science journal, he argued for the REDD mechanism, "payments for tropical forest carbon credits under a U.S. cap-and-trade system" and the need to raise $7 to $18 billion to stop forest clearance. One of his co-authors, Frank Merry, gave his address as the Gordon and Betty Moore Foundation, while another had his as the Environmental Defense Fund in Washington. Meanwhile, the programme was not without its critics. A small, UK-based charity, the Forest Peoples Programme expressed concern that some conservation schemes to establish wilderness reserves also denied forest-dwellers' rights. 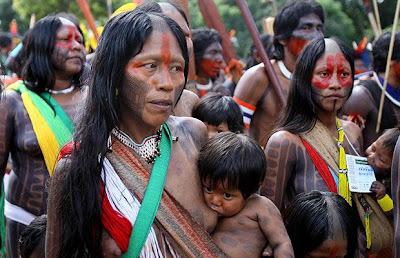 Cut off from their ancestral territories, it said, forest peoples face poverty, the erosion of their customary institutions, loss of identity and cultural collapse. 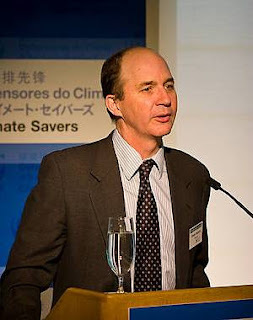 Campaigner Chris Lang, founder of "REDD Monitor", saw the scheme as a new way of "breathing life into the scam of carbon trading". REDD could involve the biggest ever transfer of control over forests – to international carbon financiers and polluting companies, he said. By September 2009, Scientific American was retailing the fears of Marcus Colchester of the Forest Peoples Programme. "We see a risk that the prospect of getting a lot of money for biodiversity could lead to indigenous peoples' concerns falling by the wayside,” he said. Tom Goldtooth of the Indigenous Environmental Network was concerned that increasing the financial value of forests could lead to "the biggest land grab of all time." Expectations that things would be any different because the schemes are run by conservation groups do not appear to be fulfilled. An account of a scheme run by WWF partner, The Nature Conservancy, on Brazil's Atlantic Coast at Guaraqueçaba, details massive "injustices", the NGO trampling over the rights of local people. Financed with $18 million by General Motors, Chevron and American Electric Power, this organisation – with the familiar mix of financiers on its board – created three reserves covering a total of 20,235 hectares. The commercial tie-up was seen as exposing REDD simply as a means to help polluting corporations to "offset" their emissions, without leading to any overall drop in CO2 emissions. The NGOs were simply the "front" organisations, the acceptable public face. 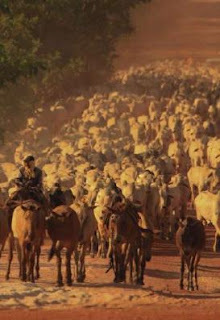 Other writers see REDD as "Tribal Peoples Versus Carbon Cowboys", arguing that the scheme will bring indigenous peoples "massive disruption and little benefit." Jonathan Mazower, of Survival International, notes that where outsiders place monetary value on land where indigenous people live, they "always almost suffer". His organisation has produced a report condemning the whole system. Reinforcing the concern, the International Forum of Indigenous Peoples on Climate Change stated: "REDD will increase the violation of our human rights, our rights to our lands, territories and resources, steal our land, cause forced evictions, prevent access and threaten indigenous agriculture practices, destroy biodiversity and culture diversity and cause social conflicts." When it came to the Copenhagen summit, no final agreement was reached on a climate treaty. But, much to the relief of WWF and its allies, elements of REDD – now known as "REDD+" were agreed. And, for the critics of the scheme, it looked as if their worst fears had been realised. In the small print of the proposal, there had been an explicit reference to the need to safeguard indigenous peoples. But, when it came to the actual Copenhagen accord, there was no mention of rights or safeguards at all. Yet this will go forward for final agreement at Mexico at end of the year. As a "conservation" group, the WWF is seen by many as having an unhealthily close relationship with big business. 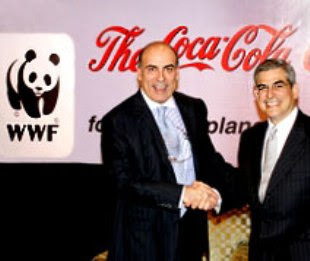 In 2007, for instance, it entered into a partnership with the drinks giant Coca-Cola, taking a fee of $20 million as part of an agreement to tackle its "water footprint". Members range from Monsanto, Syngenta, Cargill, Bunge to Unilever, Shell, BP, Conservation International, The Nature Conservancy, WWF and producers such as Gruppo André Maggi - the world's largest soybean producer based in Brazil. Despite its concern for deforestation – in which soya growing is heavily implicated – WWF endorsed an RTRS criterion that could allow "responsible" soy to be grown on land that was deforested as recently as May 2009. And soy can still be labelled "responsible" when harvested from lands deforested after May 2009 if the producer could demonstrate that it was not prime forest or an area of High Conservation Value, or land belonging to local peoples. On the ground, freelance writer Glenda Freeman, a native of New Zealand/Aotearoa, describes WWF activities as "Green Imperialism", labelling this giant, corporate organisation a "BINGO" (Big International Non-governmental Organisation). She complains that WWF intervention keeps native populations "idle and dependent" while creating the problem it hoped to solve. Anonymous authors of a publication entitled, "People Against Foreign NGO Neocolonialism" – a group of dissident environmentalists - state that foreign conservation conglomerates "whitewash effort to please donors so that the big bucks will keep flowing." They contradict claims that these groups have had any real conservation impact. Speaking of efforts in Papua New Guinea (PNG), they assert that, "With the help of willing donors such as AUS-AID, UNDP, the MacArthur Foundation, and the Moore Foundation, any possibility of achieving lasting conservation of PNG's biodiversity is being destroyed in the here and now... The international conservation NGOs in PNG are proving to be a model of how not to do either conservation or development". Organisations such as WWF, Conservation International and The Nature Conservancy are accused of having caused "the atrophy of what would have been a natural evolution of a truly indigenous conservation movement." Corporate, hierarchical models of conservation based upon outside foreign experts – often with little in-country knowledge or concern – threaten the world's rainforest as surely as logging, agriculture, etc. 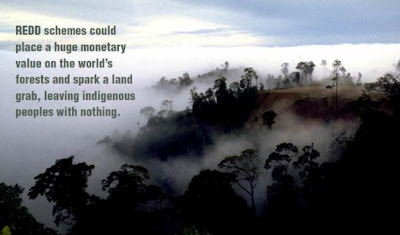 And in a commentary that could have been written with the Tumucumaque Mountains National Park in mind, they note that uninhabited forests that are impossible to log or destroy in any other way are pointed out, without the hint of a snicker, as being "forests we have saved" by these neocolonialist NGOs. Lines are drawn on the map to show the new conservation areas. Yes, the big boys say they're achieving a lot of conservation in PNG and they've got the maps to prove it. It's all a whitewash effort to please donors so that the big bucks will keep flowing. Writers Lim Soomin and Dr. Steven Shirley, of Keimyung International College, Daegu, Republic of Korea, are equally critical. 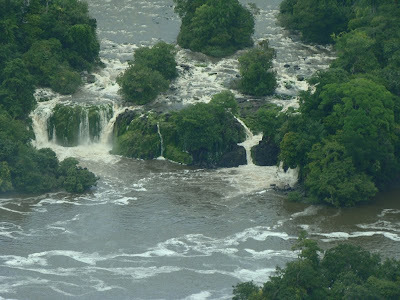 Within Brazil, they say, the WWF's efforts have created concern from both business and political groups that want to integrate the massive potential of the Amazon into the country's economy through dam building, mining projects, highways, ports, logging and agricultural exports. Running counter to these domestic plans, they write, are international efforts promoted by the WWF and other NGOs that seek to restrict Brazil's business and industry from utilizing the natural resources. Essentially, these groups are seeking to ban Brazilians from using what is Brazil's unless a foreign government or bureaucracy gives permission. Meanwhile, the campaigning group Friends of Peoples Close to Nature complained of the World Bank's "lies and deception with WWF", noting in particular that "projects to promote new markets in carbon have despoiled landscapes and ruined livelihoods." 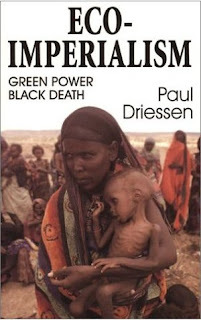 In the introduction to the book Eco-Imperialism: Green power, Black death by Paul Driessen, we read of the "ideological environmental movement." This, we are told, imposes the views of mostly wealthy, comfortable Americans and Europeans on mostly poor, desperate Africans, Asians and Latin Americans. It violates these people's most basic human rights, denying them economic opportunities, the chance for better lives, the right to rid their countries of diseases that were vanquished long ago in Europe and the United States. That much also applies to its field activities. Where, as is so often, it is operating in remote areas, there is rarely an independent voice or observer capable of recording what precisely happens. Much of what we know of WWF's activities, therefore, comes from WWF itself, inevitably spun in its own favour. The greatest criticism, however, is that the organisation is manifestly self-serving. Certainly, no one can argue that WWF is not personally rewarding for some of its officers. The current CEO of the US branch, Carter S Roberts (pictured left), is paid "compensation" of $439,327. Before joining WWF he spent 15 years at The Nature Conservancy. Earlier in his career, he led marketing and management teams at Gillette, Procter and Gamble and at Dun and Bradstreet, where he advised companies including RJR/Nabisco and Coca-Cola. The associations reinforce the impression of a small clique dominating the environmental charity "industry" and the closeness between that industry and the commercial corporates. 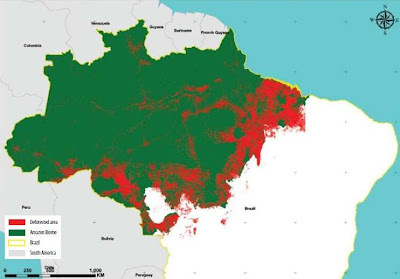 It follows, therefore, that for an "avoided deforestation" project to have most effect, it should be located in areas where the forest is most at risk – i.e., in the south or east, and especially in the Mato Grosso. To locate projects in the uninhabited north, or the sparsely inhabited, inaccessible west, cannot be considered a high priority. As to a finance system based wholly or largely on carbon credits, there were "considerable risks for perverse incentives regarding these objectives." Firstly, the potentially huge number of credits that would become available if the entire global forest mass was included in the CDM would crash the carbon price. This would give CO2 producers a "get out of jail free" card, reducing their incentive to adopt carbon reduction technologies by allowing them to acquire cheap credits and maintain a "business as usual" profile. Secondly, a simplistic, market-based system such as CDM would not discriminate between priority areas, which tend to be problematic, and the "low hanging fruit". This is recognised by the Freiburg report – which was commissioned by Greenpeace - where reference is made to "leakage", the displacement of emissions, rather than any absolute reduction. Such nuanced arguments, with other reservations set out in further reports, seem to be absent from the WWF case. While Greenpeace opposes the universal adoption of the CDM mechanism, and proposes focusing on priority areas, WWF persists in making shrill demands for unrestricted carbon trading. Without this, it says, "keeping global average surface temperature increase below 2°C will likely be impossible." Sixth, the trading in forest carbon would destabilise the CDM, crashing the carbon price and obviate the need for industrial CO2 producers to invest in "clean" technologies. Longer-term, it would reduce the amount of finance available for forest preservation and restitution, as funds were diverted to harvesting "low hanging fruit". Secondly, it is a high-profile activity with a strong "feel-good" quotient which is likely to be attractive to private and corporate donors. It allows the claim that "we are saving the forests" – and the planet. The effect of this, incidentally, can be seen in the report of KFW Entwicklungsbank, which cites project manager Jens Ochtrop. He says: "There is practically no more illegal felling of trees, planting of soybean fields or grazing of cattle in the ARPA areas. The protection by ARPA also affects land speculators and illegal tree fellers. They keep away". Thirdly, the activity is politically "safe". It avoids confrontation with vested interests in the host country, which might then provoke a political backlash and curtailment of (revenue-generating) activities. It also positions the organisation away from the areas of highest degradation and thus absolves WWF from having to intervene – or report abuse – which might upset actual or potential corporate sponsors and allies. Chris Land, again puts some this in perspective, noting that the Indonesian government is fond of REDD, "not least because it hopes to gain millions of dollars worth of funding through REDD." He also notes that countries in the north are keen to fund REDD in Indonesia, not least because it allows them to greenwash continued oil extraction. Norway's StatoilHydro, he says, is developing oil projects in Indonesia. Meanwhile, Norway's Ambassador to Indonesia, Eivind Homme can claim that, "Norway is financing the UN REDD program, one of the pilot projects on climate change, in Indonesia." That identifies a final element. The scheme allows national governments to be seen to be "doing something" on climate change, while avoiding excessive burdens on their industries, on which they rely for taxation and employment. Governments are increasingly important financiers of environmental NGOs, and will tend to favour those who support their agendas. Above all, to keep the money flowing, there must be continued alarums about "climate change" and its impact on rainforests. Without global warming, of course, there would still be pressure on the forests from logging, from agricultural encroachment and other land use. But it would be difficult to sustain such a large cash flow from dealing with these problems, or legitimise intervention in what would then be the internal affairs of host nations. 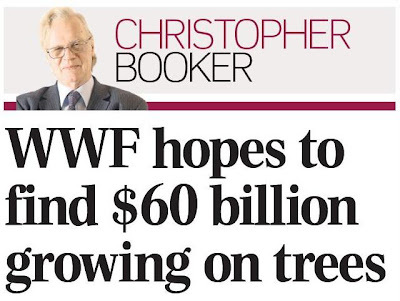 Climate change – à la WWF – therefore, affords both cash and an excuse to intervene. If it didn't actually exist, it would surely have to be invented. This is The Washington Times in full flow, telling us that the greatest scandal connected to global warming is not exaggeration, fraud or destruction of data to conceal the weakness of the argument. It is those who are personally profiting from promoting this fantasy at the expense of the rest of us. 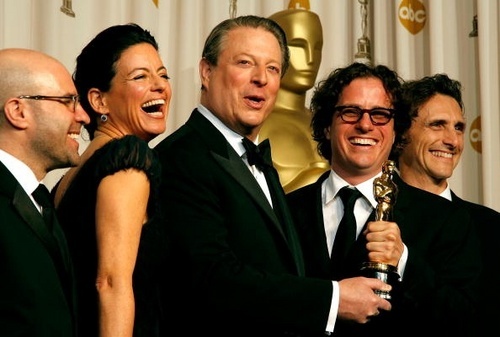 Al Gore is the most visible beneficiary, it tells us, rehearsing familiar but nonetheless telling points, not least the fact that this "multimillionaire climate dilettante" has been given a free pass by reporters, who have refused to ask him hard questions about the degree to which he was profiting from the panic he was causing. The paper picks up on Pachauri as well, and his personal cash machine, The Energy and Resources Institute. However, the greatest potential profits are in the ill-defined "carbon trading" industry, currently valued at $126 billion. 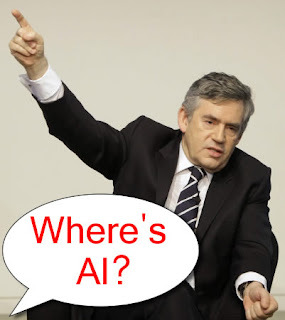 Gore, of course, is heavily involved with his Generation Investment Management LLP, which he chairs. Pachauri, through the Chicago and now the Indian climate exchange also has his fingers in the till. Thus, says the paper, given the clear conflicts of interest of those who both promote and profit from climate-change alarmism, the 2007 Nobel Peace Prize should be rescinded. This, though, is only the half of it. Coming up fast are the NGOs, which have discovered for themselves the huge money-making potential of these schemes, and are now working to cut themselves into the deal. This is not entirely unrelated to the hype on the Amazon rainforest, where there are billions to be made. I am working up a story on this and hope to be able to roll it out this weekend, alongside Booker. Watch this space. Via Tom Nelson we get a report from the Fiji Times on the fatuous WWF Earth Hour campaign. This year, it aims to reach one billion people in more than 1,000 cities encouraging them to cast their vote for the earth by turning off their lights for an hour on 27 March. As of 14 February, however, only 579 cities had signed up for what is already a toned down event. 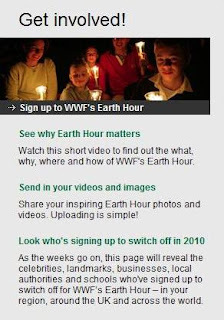 Nelson reports that 88 countries and 4,088 cities participated in Earth Hour 2009, ten times more cities than Earth Hour 2008, which saw 400 cities participate. The lights, it seems, are not going out all over the world. Perhaps the WWF had better stick to writing reports about glaciers and forest fires. Another star on the wane, it seems, is our old friend Dr RK Pachauri. In a survey reported by the Hindustan Times and others, which lists the "100 most trusted Indians", former president A P J Abdul Kalam and industrialist Ratan Tata top the list. But, says the paper, among the other surprises in the list was R K Pachauri, who trailed at 61 along with TV anchor Rajdeep Sardesai. And yet another of the mighty fallen is al-Gore. Forbes Magazine, in the persona of Henry I Miller, has him suffering narcissistic personality disorder. Amongst the signs he lists - taken from the psychiatrist's bible, the Diagnostic and Statistical Manual of Mental Disorders - is a: "pervasive pattern of grandiosity (in fantasy or behavior), need for admiration and lack of empathy, beginning by early adulthood and present in a variety of contexts." We also get, "A grandiose sense of self-importance (e.g., exaggerates achievements and talents, expects to be recognized as superior without commensurate achievements)" and, "Preoccupied with fantasies of unlimited success, power, brilliance, beauty or ideal love; believes that he or she is 'special' and unique and can only be understood by, or should associate with, other special or high-status people (or institutions)." Miller notes that Gore's Sunday op-ed column was entitled, "We Can't Wish Away Climate Change." Too bad we can't wish away Al Gore, he says. But ... you can always wish upon a falling star. I still think we should burn al Gore, rather than his books. The first part of what is intended to be a two-part story is up on The Sunday Telegraph site. This one is under the by-line of Robert Mendick who has used our work freely, referring to "a Sunday Telegraph investigation into the finances of TERI Europe ... ". We await the Booker-North version – the one we were commissioned to write – with interest although, from the look of it, much of what we wrote has already been used by Mendick. When Douglas Alexander travelled to New Delhi last September to announce Britain was presenting £10million to the Energy and Resources Institute (TERI), standing alongside him was an imposing, bearded figure. Dr Rajendra Pachauri, is not only TERI's director-general but also chairman of the UN's Intergovernmental Panel on Climate Change (IPCC), which perhaps explains the Development Secretary's largesse with British taxpayers' money. Best known for the moment when he stood with Al Gore to collect the Nobel Peace Prize, Dr Pachauri was the mastermind of the IPCC's latest monumental report on the dangers of global warming in 2007, giving him huge prestige and influence as the world's "top climate official". Since being elected to the IPCC chairmanship five years earlier, he has coincidentally built up a worldwide network of business interests. He has been appointed to more than 20 positions, ranging from directorships and advisory roles to major banks and investment firms to serving as the first head of Yale University's new Climate and Energy Institute. Dr Pachauri insists that the millions of dollars he receives for these posts are all paid not to him personally but to his Delhi-based institute. But during the same period he has also presided over a massive expansion of TERI's own empire, which now has five overseas branches, in North America, Japan, South-East Asia, Dubai and Europe. Considerable mystery surrounds the financial affairs of the TERI group since its annual reports do not include its accounts. There is, however, one branch of TERI for which we have been able to unearth a certain amount of information, because it is based in Britain and subject to UK law, and our investigations pose some questions which Dr Pachauri will not find it easy to answer. TERI Europe is registered as a charity, based at what appears to be a private home in a quiet residential street in Merton, south London. The house's joint owners, according to the Land Registry, are Ritu Kumar, an "environmental economist", and her husband Nicholas Robins, a substantial donor to the Green Party, who has stood for the party in council elections and works as director of HSBC's Climate Change Centre of Excellence. The directors of TERI Europe are Dr Pachauri and Ms Kumar, who is also its company secretary. Among various other jobs, she cites acting as a senior adviser on environmental issues to Actis, a private equity firm with $7.6 billion of investments in India, China and other parts of the developing world. She has also been executive director of the Sustainable Trade and Innovation Centre, a consultant to the Commonwealth Science Council and worked for the Commonwealth Secretariat. This may help to explain why the official launch of TERI Europe in 2000 was not in a south London back street but in the imposing setting of Marlborough House off the Mall, the Commonwealth Secretariat's headquarters, with John Prescott, then deputy prime minister, as guest of honour. In its early years, between 2001 and 2003, TERI Europe reported to Company House an annual income of around £60,000. But in 2004, just as it was widening its activities, including two contracts for the British Government, its declared income fell by more than a half. Since 2005, when new EU rules were coming in to exempt small companies from the need to show detailed accounts, TERI Europe has shown no figures for expenditure and income. Although this has been quite legal, two things made it odd. The first was that, as a charity, TERI Europe still had to file accounts with the Charity Commission. So long as its annual turnover was less than £10,000, these would only have to show basic figures for income and expenditure, and would not have to include a trustees' report giving details of all its activities. Thus in 2006 TERI Europe gave its income as exactly £7,000, against expenditure of £5,100. In 2007 the figures were £9,000 and £5,000. In 2008 they were £8,000 and £3,000. All these sums were below the £10,000 threshold. What made the figures very much odder, however, was that it was in just these years that TERI Europe was expanding its activities ever further. Our investigations have shown, for instance, that in addition to carrying out projects funded by the European Parliament, the EU and many other organisations, it has continued to receive substantial commissions from four UK Government departments, all of which seem curiously reluctant to disclose how much money was involved. In 2004, TERI Europe carried out a major study on "renewable energy" for the Foreign and Commonwealth Office (FCO), and another on "Corporate Responsibility" for the Department for International Development (DfID). No cost figures for these projects are available. These were followed by further projects on emissions reductions and climate change funded by DfID and the Department of Environment, Food and Rural Affairs (Defra). In 2005 Defra paid TERI Europe for a study on "the exposure and potential of the Indian insurance industry to cover risks related to climate change". Again no cost figures are available. In 2007, however, TERI Europe published a report on sustainable development in India, "SI2", co-authored by Ms Kumar and acknowledging "generous support" from the FCO - and here we can at last arrive at some estimate of its cost, because TERI Europe was subsequently commissioned to produce two similar reports by the International Finance Corporation, part of the World Bank, which is rather more transparent with its figures. 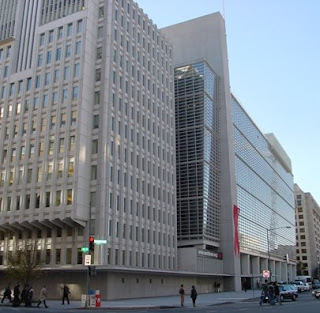 The total cost of these two World Bank reports, along with a third commissioned from a group in China, is shown as $331,000, which implies that the two reports by TERI Europe, along with its earlier report for the FCO, must have generated a not dissimilar income. Oddest of all, however, is the sum of £30,417 still shown on the Defra website representing money paid to TERI Europe in 2007, via "Cambridge University", in respect of work done by an unnamed "head of unit" towards preparation of a "Synthesis Report" summarising the contents of the IPCC'’s major Fourth Assessment Report. One of the two co-editors of the Synthesis Report was Dr Pachauri. But when we asked Defra to identify the "head of unit" referred to, we were told that this was now a matter for the Department of Energy and Climate Change (DECC) - which refused to tell us any more. We eventually learned, however, that the money was paid to a Dr Andy Reisinger, Dr Pachauri's co-editor on the report, who had worked for the UK Met Office's Hadley Centre but was now working for TERI India in Delhi. We further discovered that the £30,417 posted on the Defra website was reported by Defra in a statement to Parliament as having been only £5,800 (the IPCC itself also paid a further £400,000 towards this 52-page report, which was designed by the TERI Press). 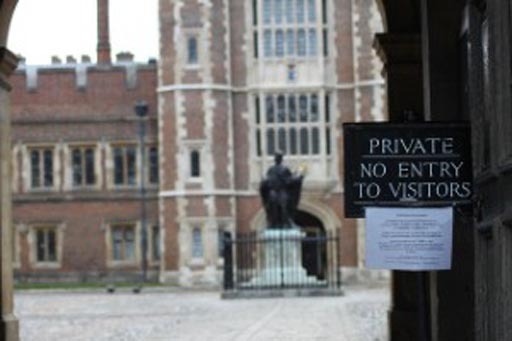 Why Dr Reisinger's money was paid through TERI Europe, via an unnamed department of Cambridge University - and why the Government has been so secretive about details of this payment - thus remains as mysterious as much else about the financial affairs of TERI Europe. The one thing all this made obvious, however, was that TERI Europe's income and expenditure in recent years were both much greater than the figures it declared to the Charity Commission. When we put this to Ms Kumar, as a director and company secretary of TERI Europe, she admitted that our questions had brought to light "anomalies" in the charity's accounts. Its accountants have now been called in to produce a revised version. The primary responsibility for ensuring that TERI Europe's affairs are in good order and comply with the requirements of the Charities Acts lies not just with the directors but with its board of trustees. These include not only Dr Pachauri himself but also two other notable figures in the global warming story. One is Sir John Houghton, a former head of the UK Met Office who played a crucial part at the top of the IPCC through much of its existence. A third is Sir Crispin Tickell, the former diplomat who was responsible in 1988 for converting Mrs Thatcher to a belief in the dangers of global warming. This led to the setting up by Houghton of the Hadley Centre for Climate Change, which has continued to play a key role in the IPCC to this day. If the Charity Commission’s investigation confirms these anomalies in the charity's accounts, its eminent trustees will be at the forefront of those asked to provide an explanation. One interesting fact to emerge from our enquiries to the IPCC secretariat in Geneva is that, for his extensive work as chairman of the IPCC, Dr Pauchuri receives no salary but only expenses. Just what Dr Pachauri himself earns from TERI, of which he describes himself to the Sunday Telegraph as "a full-time salaried employee", is not publicly revealed. Indeed, on Indian TV recently, in response to an article we published three weeks ago, he curiously claimed that "nobody in TERI gets any money for anything he or she does as part of his or her job". But he certainly enjoys a lavish personal lifestyle, with his Delhi home in the Golf Links area, the most expensive stretch of residential real estate in India, and is famous for his array of "$1,000 suits". One of his favourite themes is the threat posed by global warming to the world's poor, and that our affluent Western lifestyle is now "unsustainable". 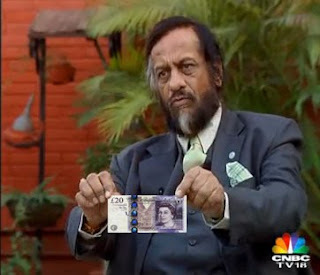 After Mr Alexander recently pledged that £10 million to TERI, to find ways of curbing poverty in India through "sustainable development", Dr Pachauri might have retired to his Golf Links mansion to meditate gratefully on Britain's generosity. Now, however, he and his fellow trustees have one or two uncomfortable questions to answer about the conduct of his empire's outpost here in London. Never mind the quality – feel the width. 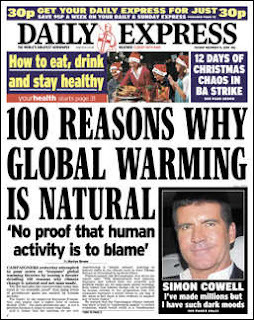 The Daily Express today offers another front page, attacking Mann-made global warming, following on from its earlier front page at the beginning of this month. Although the source is the European Foundation - hardly a credible scientific authority - the headline speaks loudest, declaring: "100 reasons why global warming is natural." The fact that the paper was prepared to put it on its front page speaks for itself. The list, we are told, includes the controversial claim that there is "no scientific proof" that rising levels of greenhouse gases are caused by human activity, while it is also argued (correctly) that a higher level of carbon dioxide (CO2) is not a problem because it helps to boost crop yields. The Met Office is cited, down-page, rather predictably denying the claims. But there is some clear good sense articulated in the list of a hundred, including references to historic shifts in the climate such as when Vikings farmed on Greenland in medieval times. Meanwhile, from the slugfest in Copenhagen, it is almost impossible to gain any coherent information, with even The Guardian reduced to reporting a "fraught day". The earlier disputes, the paper says, caused: "the loss of five vital hours of negotiating time". The UN and Danish organisers are now accused of sidelining developing nations by holding informal consultations with selected countries. It is beginning to sound like an EU summit. And, in a sign of things to come, a "senior Asian negotiator" says: "The disaster has already begun because we have not closed the gap an inch. We have not moved. We are just trying to paste over it with political rhetoric." As if the summit was not in enough trouble, delegates also had to listen to Al Gore telling them that "new data" suggested there was a 75 percent chance the entire Arctic polar ice cap may disappear every summer within seven years. He was immediately criticised for "spinning", with The Times recording that the supposed originator of the "new data" Dr Wieslav Maslowski stating: "It's unclear to me how this figure was arrived at ... I would never try to estimate likelihood at anything as exact as this." Gore's office later admitted that the 75 per cent figure was one used by Dr Maslowksi as a "ballpark figure" several years ago in a conversation with Mr Gore. His speech was roundly criticised by members of the climate science community. "This is an exaggeration that opens the science up to criticism from sceptics," Professor Jim Overland, a leading oceanographer at the US National Oceanic and Atmospheric Administration said. Perhaps fortunately for him, Gore's audience might have been smaller than anticipated. In a classic PR own-goal, the UN announced that it was permanently banning thousands of accredited non-governmental organizations from the conference centre. But officials waited until several thousand accredited NGO delegates had been forced to wait outside for eight hours or longer in near freezing temperatures for admission. They were apparently being banned because the UN had accredited 45,000 people for a building with a capacity of 15,000, although the stated reason was "security concerns." Those "concerns" might have been related to the fact that, after waiting several hours in the cold, delegates had begun to chant, "Let us in! Let us in!" Said one commentator: "To give credentials to 45,000 people while choosing a building that holds 15,000 is insane, though the United Nations, to be fair, has never been known for competence." And these people want us to believe they can save the planet? What, asks Christopher Booker, in his column today, links the Copenhagen conference with the steelworks closing in Redcar? The connection is Dr Rajendra Pachauri, the Indian railway engineer millionaire businessman, who also happens to be the chairman of the UN's IPCC, which is holding its slugfest in Copenhagen at the moment. 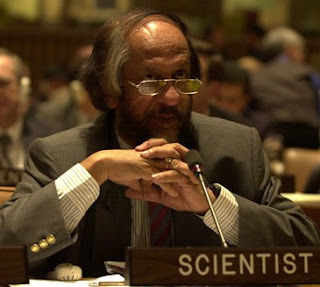 Before he became thus elevated, Pachauri was made in April 2001 Director-General of the Tata Energy Research Institute (TERI), after having become its Director and head in 1981. As its name might imply, there is a link between the Institute and the Tata Group. But it is no casual link. TERI was actually set up by a consortium of Tata Group companies, initially operating from the Tata Group headquarters. That firm, incidentally, can trace its origins back to 1868, when its founder, Jamsetji Nusserwanji Tata, established a trading company in Bombay, dealing in opium. But from its humble if profitable beginnings as an opium trader, the Tata group, of course, is now owner of Corus Steel, which two weeks ago mothballed the steelworks in Redcar, throwing 1,700 workers on the dole. This is also the same Corus which, as we reported last week, potentially stands to make £1.2 billion over the next three years by cashing in on now surplus EU carbon credits given to the firm, plus cash paid through the Clean Development Mechanism (CDM), gained by transferring Redcar's steel production to India. Tata stands to gain from the CDM from being allocated credits for notional carbon "savings" gained from investing in a new steel plant in the Indian province of Orissa. Coincidentally, this will initially produce 3 million tons of hot rolled steel – exactly the capacity of the mothballed Redcar plant. In another "strange but true" coincidence, the CDM scheme – which was set up to implement the 1997 Kyoto Protocol - is administered by the UN, of which Pachauri is a senior official. He is also one of the main cheer-leaders for the carbon trading scheme represented by the CDM. Of course there is absolutely no posiible suggestion – as Booker makes clear - that Pachauri benefits personally in any possible way from Tata's exploitation of the various carbon trading schemes set up, even if it is the IPCC which provides the recommendations which drive those schemes. That is just a coincidence. Nor can the railway engineer help it if last year, on official figures, buying and selling the right to emit CO2 was worth $126 billion across the world. This market, now enriching many of our leading financial institutions (not to mention Al Gore), is growing so fast that within a few years it is predicted to be worth trillions, making carbon the most valuable traded commodity in the world. Pachauri just helps make it happen out of the kindness of his heart. Nevertheless, Pachauri is clearly nervous of the connection between Tata and the institute it so generously established. Not only is there no mention of the connection on the institute's official web site, it is also curiously absent from Pachauri's personal website and his own carefully reworked cv, which can be downloaded from the site. In fact, in yet another of those coincidences which seems to dog Pachauri, a year after he had been appointed chairman of the IPCC, the Tara Energy Research Institute was quietly renamed as The Energy Research Institute. The only overt link now is a listing of the politically safe(er) Tata Tea Limited – a wholly-owned division of the Tata Group – as one of the corporate sponsors. Nevertheless, nothing had really changed. "We have not severed our past relationship with the Tatas. It's only (the change of name) for convenience," said communication manager Annapurna Vancheswaran back in January 2003. However, the relabelling did leave the good doctor free to do his good works at the helm of the IPCC and TERI, without any obvious connection with Tata, thus allowing him to parade himself as a "scientist" rather than head of a multi-million dollar conglomerate set up by a multi-billion dollar conglomerate. And conglomerate TERI became. Pachauri has expanded his portfolio to become Director-General of The Energy and Resources Institute in the United States – an organisation which, through another of those curious coincidences, also bears the initials TERI. One of the key directors of his US Board is Prof Timothy G Gregoire, who is J P Weyerhaeuser, Jr Professor of Forest Management, School of Forestry and Environmental Studies at Yale University. And in yet another of those coincidences, Dr Pachauri has just been nominated to lead the newly established Yale Climate and Energy Institute – at Yale University. Sadly, there seems to be no end to these coincidences, as Dr Pachauri is also a trustee of another organisation, which just happens to be called TERI-Europe, with offices in Albert Grove, London. When in London, Pachauri doubtless meets up with fellow trustee Sir John Houghton, also a member of the IPCC, former Chief Executive at the Met Office and founder of the Hadley Centre – creator alongside the CRU of the hadCRUT temperature dataset on which the IPCC relies for its doom-laden warnings. And, to keep them company, they have another doyen of the climate industry, fellow trustee Sir Crispin Tickell GCMG KCVO. But, in one more of those entirely coincidental coincidences, we see that TERI-Europe has been quite busy completing a study which will bring warm feelings to the redundant workers of Redcar. This was a study on "Developing clean development mechanism projects for renewable energy technologies" which – in another coincidence which will have the Redcar Redundants leaping with joy – was sponsored by Mr Miliband's Foreign and Commonwealth Office. This is, of course, terribly, terribly convenient – if not coincidental – because in 2006, British Petroleum announced it was funding TERI in India to the tune of $9.4 million to produce bio-diesel from Jatropha Curcas, a non-edible oil bearing crop – which could benefit from a renewable CDM. The project – prop Dr Rajendra Pachauri – was expected to take 10 years and would cultivate around 8,000 hectares of land currently designated as wasteland with Jatropha and install all the equipment necessary for seed crushing, oil extraction and processing - to produce 9 million litres of bio-diesel per annum. A mere year later, Tata Chemicals – a wholly owned division of the Tata Group - announced plans to "foray into biodiesel", disclosing that it was already in talks for securing the required raw material from "several leading plantation groups" that were engaged in growing Jatropha and pongamia plants on a commercial scale. That, without any possible doubt, just has to be a coincidence – just as is the fact that the closure of the Redcar plant will help the UK meet the emission reduction targets that are currently being negotiated under the aegis of Dr Pachauri in Copenhagen. And all this becomes possible because Dr Pachauri's friends have performed a miracle of our time, transforming carbon dioxide, a gas upon which all life on earth depends, into a "pollutant", worth more than diamonds, let alone oil. Forget Big Oil writes Booker. The new world power is Big Carbon. And many of those now gathered in Copenhagen are making a great deal of money out of it. But, of course, Dr Pachauri is not one of them - absolutely not, no question of it ... quite improper even to think of the idea. Devil's Kitchen has got it totally wrong. Even if Pachauri's personal fortune (a closely-guarded secret) was well into seven figures - he is a "scientist". They have nothing to do with making money. Their only concern is with saving the planet. Believe me. Nobel laureate, renowned climate scientist and good friend of former US vice-president Al Gore, Dr Stephen Schneider, was verbally attacked today during a press conference at the United Nations Climate Talks in Copenhagen. He was shaking visibly after the confrontation. Since he is still alive, Schneider may care to reflect how unlucky he was that it was a verbal attack. His religion is distinctly lacking its quota of "climate martyrs". He could have gone down in history as its first. For months, the UN climate change summit that began yesterday in Copenhagen has been billed as the world's last best hope to match the scientific consensus on global warming with a policy consensus. But now it turns out there is little of either, and Copenhagen looks like it will go down as one of the more remarkable cases of political hubris in recent memory. So declares the Wall Street Journal which suggests that much of the momentum for Copenhagen is now driven by the alternative fuels industry and its investors, who stand to lose vast sums unless governments artificially raise the price of carbon. These, we are told, include our friends at Kleiner Perkins, the ecoventure capital fund that includes Al Gore as a partner. And of course that part of the political class congenitally eager to redistribute taxpayer monies also wants to dispense "carbon credits" to friends and political donors. I don't think the majority of people even begin to realise quite what how big a scam the "carbon" market really is. We saw yesterday an example of how one company, the Tata Steel Group, stood to gain £400 million a year from this market, without reducing in any way the amount of carbon dioxide produced. The alternative fuel industry, we know, actually consumes in total, more energy than it produces and the hugely inefficient wind industry survives only on a colossal raft of subsidies. While Pachauri is eager to dismiss the sceptics as "criminals", these rent-seekers are the real criminals, and their are not victimless crimes. The money that Tata Steel so diligently milks from the system does not grow on trees. It comes at the price of 1,700 jobless in Teesside – the dole for whom we are going to have to pay – the loss to the economy of the steel they produce, with a commensurate loss in tax income, and the additions to our household bills as utility companies buy the carbon credits from the likes of Tata so that they can continue generating electricity. The real criminals though are the politicians whom we pay to protect our interests, to protect us from the rent-seekers and their ponzi schemes which have no other intent but to raid the public purse. It is all very well for them, as they will do tomorrow, to get excited about the pre-budget report but, while they will be agonising over a dozen or so billions, their compatriots are in Copenhagen planning a raid amounting to trillions - $45 trillion at last estimate. And when it comes down to it, this is what Mann-made global warming is all about – money. It is "green" only in the sense that money – the once almighty dollar – is green. Copenhagen is robbery in broad daylight, and it is about time our opposition party made its voice known or, as The Times indicates today, there is a very good chance that it is likely to remain the opposition for a very long time. Their members could start by reading this from the National Post, which tells us why Climategate is so important, and then do something about it. Silence is not an option. Lead item in The Times (online) is the story of railway engineer Rajendra Pachaur promising a "UN inquiry" on Climategate. The issue is definitely creeping up the media agenda. When are we going to hear calls for a postponement of the Copenhagen slugfest though – pending the outcome of the inquiry? Despite this, at 15:00 hrs, the TWI stood at 9,254 (30,400,000 - 3,285), an increase from this morning's figure of 9,137 (29,400,000 – 3,218), – suggesting that the MSM is not only still way behind the curve (unadjusted, without the 30-year smoothing), but dropping even further behind, as web interest intensifies at an even faster rate. Delingpole is having fun - as usual – and Booker is, as we speak – preparing another "formidable article" for Sunday. 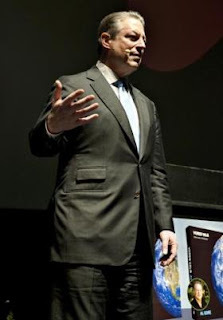 In the meantime, Al Gore – ever in tune with public opinion - is telling us that the Copenhagen targets are "not tough enough" – even though he will not be there in person to make his case. The TWI for "Climategate" has dropped from 9693 last night to 9137 at 11:00 Hrs GMT this morning (29,400,000 – 3218), suggesting that there has been marginally more media interest. Incidentally, I tried the index out on a few blogs to see if they were gaining any significant media traction from their work on the issue. Bishop Hill, who has made much of the running, turns out what appears to be a creditable 4357 (183000 – 42). But then you discover that there is a town in Illinois bearing the same name. The adjusted figure (CRU approved) with the addition of "blog" to the search string is actually 6950 (55,600 – 8). Stateside, even one of the giants, Michelle Malkin only delivers 4272 (987000 – 231) and much of her coverage is not on "Climategate". Of the specialist blogs, Watts Up With That fares very badly, with 33,824 (1,150,000 – 34), suggesting that when the media does take notice, it wants to "own" the issue and is loathe to give credit to the blogs which have been leading the way. With a substantially lower web profile, Steve McIntyre's Climate Audit does better, at 2,621 (152000 – 58). By comparison, though, his putative nemesis, RealClimate scores extraordinarily well, coming in with 830 (332,000 – 400), almost certainly suggesting a massive warmist bias in the media. On the other hand, our own James Delingpole outshines the warmists, at 809 (90,600 – 112), but that reflects a low web profile. 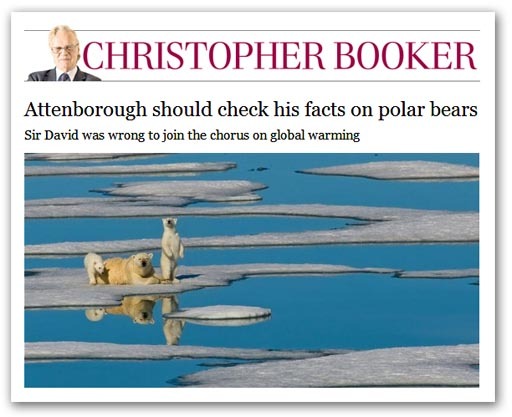 He beats Christopher Booker though who, for all his MSM profile with his own column, delivers a relatively modest 1661 (103,000 – 62), faring marginally less well than Christopher Monckton at 1505 (140,000 - 93). Demonstrating the effect of being at the centre of a media storm, however, "Phil Jones CRU" gets 62 (138,000 – 2225), indicating that he is a tad over-exposed – a sentiment with which he would doubtless heartily agree, especially as he rather puts Al Gore in the shade as the warmist's poster boy. He delivers a "mere" 399 (2,120,000 - 5,317). Even now, he must be working on hiding the decline.